After the events of today, I am having a difficult time staying asleep. I feel incredibly overwhelmed with emotions of love and gratitude, while a number of thoughts endlessly run through my mind. So...what happened today? Oh, you know, I had two more children. It was a crazy, amazing, wonderful, (and terrifying) day. It all began on Saturday, when I thought I may be in labor after a couple hours of contractions. Nathan and I went to the hospital, where I was monitored for two hours. I was only 2 cm dilated and 40% effaced. Although I was having contractions, the doctor assured me that delivery was not imminent. The contractions were minor and my cervix was "non-laboring" (which means she saw no signs of change that would suggest labor). The attending physician told me to not expect to deliver for at least another week. I kept these words in mind when the cramping returned Sunday afternoon. Thinking it was the usual minor contractions, I attempted to sleep through them and ignore the pain. After a somewhat restless (yet typical) night, I woke up around 7:30 to use the restroom. I noticed a very small amount of blood and noted the contractions were still there. It was nothing major (I thought), but just to be safe, I called labor and delivery at the hospital and asked if I should come in. The nurse, who remembered me from Saturday, assured me everything was fine and suggested I go in to see my doctor as soon as his office opened. I called and made an emergency request for an appointment with Dr. Miu. His office did not open until 8:30 and when no one had called me back by 9, Nathan and I decided to just walk in. By that, I mean Nathan literally walked in to the back of his office and said something like, "We need Dr. Miu now, please!" By this point, I suspected I was in labor due to the frequency of the contractions. Dr. Miu was smiling as he hurriedly ushered us into a room. He performed an exam first thing and his expression immediately changed. He very quickly said, "You are dilated 6 centimeters. You are going to the hospital now and will have to ride in an ambulance." Before he could leave the room, I burst into tears and told him, "I cannot have my babies here! It's too soon! I can't have them here!" He apologized and told me, "There is no time to be flown anywhere. You are having these babies here, NICU or no NICU." I didn't hear anything else, as I was instantly hysterical and sobbing. Because there is no NICU in our town, our plans were to deliver with another doctor an hour away at a nicer hospital. If something went wrong during delivery and the babies had any signs of trouble breathing, the hospital would not be able to help them here. Most likely, the boys would be immediately transported via helicopter to a neighboring hospital while I remained in Othello. I was 35 weeks 1 day, so I knew they wouldn't be too small, but I also knew the hospital's pediatrician strongly recommended we have the babies elsewhere. As I imagined a variety of horrible scenarios, I cried due to feelings of immense guilt. I felt horrible for not going to the doctor or hospital sooner and for putting our babies at risk. How could I not listen to my body? Nathan tried to calm me, and Eliza kept saying, "Be happy, Mommy." I couldn't stop shaking, though. Paramedics arrived, strapped me down to a gurney, and wheeled me outside. The next thing I knew, IV's were being put into my arms, I was being undressed, and an oxygen mask was secured to my face to help calm my breathing. Somehow, I managed to text a couple of my friends and family members and ask for prayers; I knew I desperately needed them. The ride to the small hospital took less than five minutes, and I felt an immense sense of relief when I saw my mother-in-law's car pull up behind the ambulance. Cheryl is such an amazingly calm person, and I knew she would be able to help me. Already, prayers were being answered! By this time, it was 9:45 am. I was rushed upstairs, where a team of nurses and doctors was waiting for me. I was dilated 8 centimeters, and I knew I had to gain my composure and stop crying if I wanted things to go smoothly. Cheryl held my hand and told me to focus on positive thoughts. She reminded me that soon I would have two beautiful sons and that the pain wouldn't last much longer. In the midst of all of the commotion, I asked about the epidural. From conversations with multiple doctors, I knew epidurals are usually a requirement with twin deliveries. Even if both babies are head down, Baby B could potentially flip once Baby A has been born. This, along with a variety of other factors, often causes the need for emergency c-sections. Dr. O, who had been scheduled to deliver our sons, was extremely familiar with delivering twins and was comfortable with manually flipping a breech Twin B. He still recommended an epidural, though, just to be safe. Dr. Miu, on the other hand, was not comfortable with flipping a breech baby and almost always performs c-sections for all twin births. However, our situation was very different. Things were progressing so quickly that our delivery was an exception to many rules. I still wasn't in much pain (uncomfortable yes, but it was the least of my worries due to all of the stress) and Dr, Miu let me know that introducing an epidural this late in the game could affect the progress of labor and my pushing ability. Both of these things could lead to a c-section or babies in stress. He said if I opted to do a drug-free labor, I would be able to push better and remain focused (most likely). Terrified of causing any stress to the babies without the safety of a NICU around, I decided I would do it naturally. Additionally, I was nearly 9 centimeters, so there really wasn't much time to do anything. If, for some reason, I needed a c-section, I would put under general anesthesia for the procedure (I actually preferred this idea over being awake during a c-section. All of you ladies who have had a c-section are much braver than me!). During this time, Nathan manged to find a friend from church who worked at the hospital. They gave me a blessing of comfort, and almost instantly, I felt a sense of peace. I also received a flurry of texts from loving friends and knew I had a number of people praying for me. As they wheeled me down to the operating room, which is standard procedure for twin deliveries, the new nurse receiving me remarked, "Oh good. She's had her epidural." I looked up at her and said, "Nope! I haven't had one. I just feel really good for some reason." She looked back at me in disbelief and said, "Well I'll be! I've never seen this before. You go, girl!" I was put on an operating table and three huge, blinding lights were put on me. A number of doctors and nurses filled the room, and the anesthesiologist stood over me with an oxygen mask, ominous and ready to pounce at any sign of distress. I asked him to get the oxygen mask out of my face. I knew I could do this. After my brief words to the anesthesiologist, I paid no attention to anyone. I focused on my babies and hummed a song of comfort in my mind. Fifteen minutes and four pushes later, Elliott Dailey Robbins was born at 10:54 am. He weighed 5 pounds 5 ounces and was 17 1/2 inches long. 8 minutes and three pushes later, Ezra Lovell Robbins was born. He was 4 pounds 8 ounces and also 17 1/2 inches long. He promptly peed on his brother as soon as they were side by side. Both babies scored a 9 on the apgar and neither needed oxygen or to be life flighted to a NICU. It was a miracle. They don't have feeding tubes or breathing tubes; they are tiny, but strong and perfect. I know that the strength and the peace I felt came directly from God. I know He was protecting us, as he answered prayer after prayer with continual blessings. Staying at the Othello hospital has been an immense blessing in disguise. We are down the street from our house (and our parents and Eliza) and our babies are receiving amazing treatment. There is only one other baby and mother in the hospital currently, so I have been treated like a princess! The nurses have been so kind, and I feel like some sort of celebrity because everyone wants to meet the girl who "had twins naturally with no drugs!" According to my doctor and nurse, I am the first patient to ever do that in this hospital. I am also one of the first patients to ever have a vaginal delivery of twins (drugs or no drugs) at the Othello Community Hospital; c-sections are the typical rule here. I'm still in a daze that it all happened so quickly. To those women who haven't delivered a child yet (or even if they have), trust your instincts and go to the doctor/hospital if you feel like you may be in labor! Don't worry about "crying wolf" or false alarms. We were truly blessed that all went well. Wow!!! Congratulations! I am so glad everything went well for all of you and that your boys are here and so healthy. They are beautiful, and so are you! Oh Celia! I am SO happy for you! You are amazing and look AMAZING in these pictures. Way to go! Your sons are beautiful! Wow. That is an amazing story. I am in tears.... You are one impressive birthing woman. I have already told you that, but seriously, awesome. I can't believe they are so healthy for being so little! Sometimes I think the way the hospital system is set up with babies being rushed away and hooked up to stuff contributes to babies needing more help. You are an amazing woman, Celia. Congrats on the arrival of your precious sons. I hope you all continue to do well and that Eliza adjusts well to the role of a sister. this was so beautiful to read. i too am in tears. thank you so much for sharing your story, oh my goodness, i cannot tell you how moved i am. you look absolutely stunning in these pictures. you should send your story to the Mama Birth blog--she has hundreds of followers and i just really think more people need to read about this. you are truly an inspiration. AHH! I JUST CAN'T GET OVER HOW COOL THIS IS!! CONGRATULATIONS! You are so awesome! Congratulations on two beautiful healthy boys. I am so happy for you. weeping. i am so excited for you guys. Currently crying. You are a rockstar. Everything about this is so beautiful. Welcome to the world, Elliot and Ezra! wow. I'm linda peterson's sister, she shared this story with me. Oh my. Congratulations. I am so happy for you. What a blessing from heavenly father to have such calm when there were circumstances that are so scary. I'm 35.5 weeks currently and not even with twins and though I birth naturally and do not find the process scary, I think i'd have a panic attack if I went into labor preterm. I am so glad that everything went beautifully. Congratulations! I teared up just reading it. What a blessing. I am so happy for you two and BLOWN AWAY that they and you are all so well! And if you're wondering, after you sent me that text, I dropped to my knees and started praying and crying and generally freaking out and I also felt a sense of calm and that things would work out. So I'm glad that they did. You are so blessed and loved! Cecilia! You have got to be kidding me. You are amazing! I cannot even imagine being in that situation. I'm so grateful prayers were answered, you were so calm, and your babies are perfect! They are adorable. please, please get professional newborn shots of them! I love you! Congratulations! You are an amazing women! I have 1 year old twin girls and know how hard a twin delivery is, but to do it without drugs is a miracle! Your boys are so handsome! So glad all went well! You are making me cry! You are so amazing! I'm so happy things went so well for you! They are adorable! Lots of hugs coming your way! Huzzah! I love you guys so much! What a crazy wonderful day and so many more to come. Once again, the Robbins prove to have some good mojo. You are so amazing love and I'm so happy with how everything turned out for you. (Also, I'm glad that Elliot is Elliot and not Milo ;)). Hopefully, we'll figure out which boy is which after awhile! Haha. Hooray! I was with Katy when you texted and Becca called soon thereafter so we were all freaking out the rest of the afternoon. I am so excited for you. 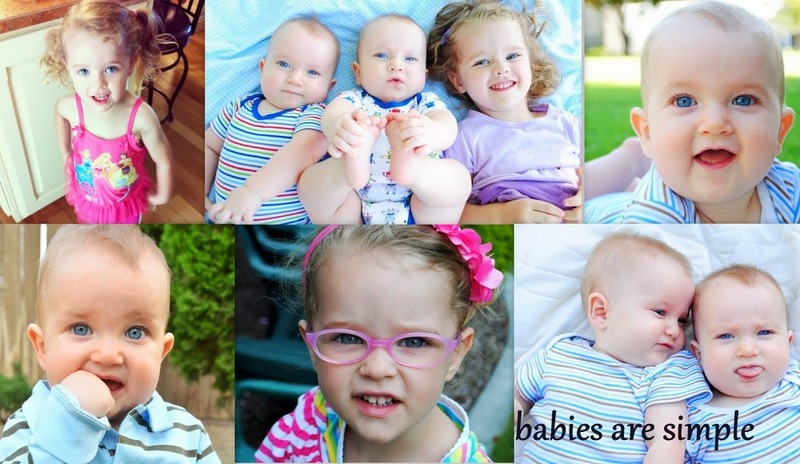 They are beautiful miracle babies! Oh Congratulations!!! I am 21 weeks along with fraternal twin boys right now. It seems like I have a lot of the same worries you had. I am terrified of C-sections and the NICU. They are simply beautiful. Your story gives me hope that things will work out just fine and that I will be strong enough to handle whatever the birth will bring. I am in awe of your poise and strength and you look absolutely beautiful! Congratulations Celia! I love the names, by the way. I hope everyone adjusts well and that you recover quickly. I read this and sobbed. What an incredible (and intimidating) journey! Congratulations to you and your growing family. You are an amazing woman. I am SO PROUD of you, Celia! Your pictures are BEAUTIFUL! Your boys are amazing and you are even more amazingI wanted to cry as I read your story. What a beautiful, beautiful thing! Thank you so much for sharing!!! I am so so happy for you. Congrats! Your a so amazing and your baby boys are beautiful! What a wonderful story. I am so thankful that everything turned out well. Congratulations guys!!! love you and wish we could be there with you. Wow, sounds like a perfect delivery! Congrats, they look beautiful! I'm so glad that things turned out for the best for you. I love the names! Welcome boys! Oh. my. gosh! I have goosebumps from your amazing experience. So glad it all went well! They are sooo cute! I love where they are side by side with their legs hooked together. What a blessing! Cecilia! You did it!! I'm so happy that everything went so beautifully. Your entire pregnancy was worth it- look at those gorgeous little boys! Your whole story is so inspirational and you are such an incredible woman. I just love you and miss you so much. I can't wait to watch those babies grow up via the internet :) Congratulations Robbins family!! What an amazing birth story! It's truly inspirational. Your little boys are so lucky to have you. I can't wait to meet them! OH sweetheart, I am SOOO happy for y'all and your new family! I have been thinking about y'all so much. Good luck with everything, and I'm so glad that everything went well. You are a rock star. I keep coming back and reading this post because it makes me so happy. Tonight I came back and remembered, "Oh yeah, they are identical!" They look different now because of the weight difference, and I'm sure you'll always be able to tell them apart, but once they fatten up I bet the rest of us won't. Congrats again. I'm so happy for you. Oh my goodness Celia! Congratulations! And you look amazing! I am so glad that everything turned out perfectly and you and the boys are doing well! I love their names bytheway! Ezra is one of my favorite names!! I cried the whole way through this post! Wow... I guess I'm just a mess to cry reading about someone else's delivery :) But hearing your doctor say you had to deliver there, NICU or not, seemed terrifying! What an unfair thing... I can imagine (having my own "Try to drive calmly to the hospital because there is no heartbeat" unfair thing said to me) how difficult that was. Good for your for putting your babies first! I really shouldn't have read this while sitting in class. This made me tear up so fast. Cece, I'm so proud to know you. You are amazing and I'm so happy for your family :) What a beautiful and happy story. Congratulations. What an amazing experience. I am all misty eyed! Behold, the Power of Words!